But who is the photographer? Save the lady or Save the moment? - The priority? Ack, I never thought about the photographer before! So why is he/she taking a picture of this poor lady in such a private moment anyway??? Too funny! That's why I wear long dresses when hiking, my friend! No need to be caught in such an undignified, not to say dangerous, position!!! 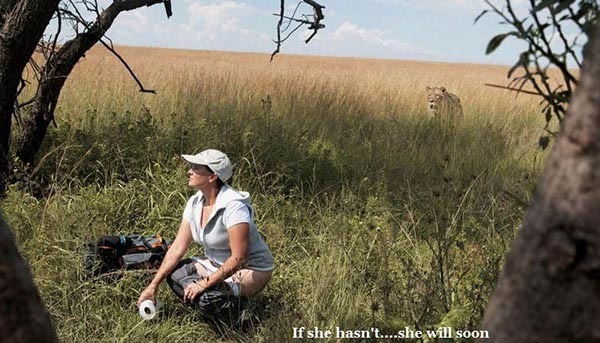 At least she has toilet paper.